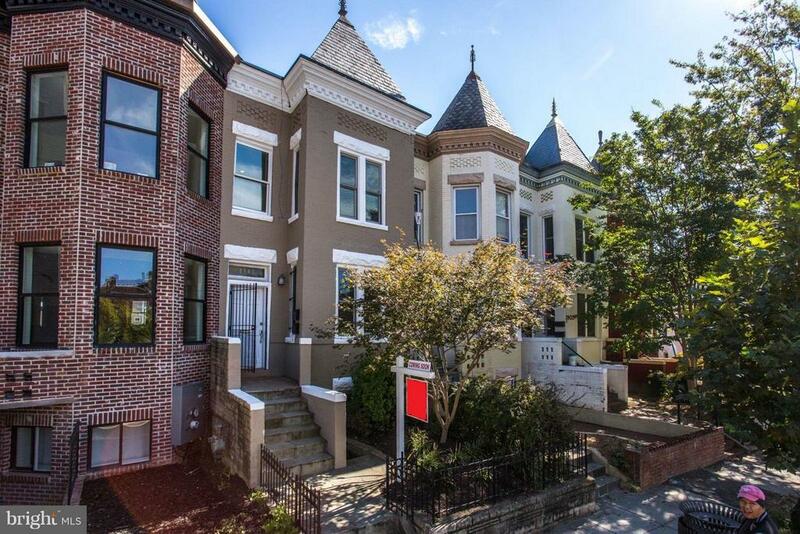 Classic, large row home in Columbia Heights nestled on a quiet side street just 10 minutes from it all! Features incl. gorgeous wood flooring, exposed brick & traditional finishes. Main kitchen has granite counters & nice newer wood cabinetry. Large MBR & nicely sized 2nd-floor bedrooms. English basment/in-law suite w/2 bedrooms & a large kitchen w/granite bfast bar. Backyard w/room to entertain!